DID YOU KNOW? You’re not balding because your hair is falling out? You go bald and hair thins out because it doesn't grow back! The key to avoiding Hair Loss is not to ignore it, says Dr. Ryan Ferchoff, hair loss consultant of the Natural Wellness Center & the Hair Loss Control Clinic in Honolulu, HI, who says there is much that can be done if hair follicles are still alive. 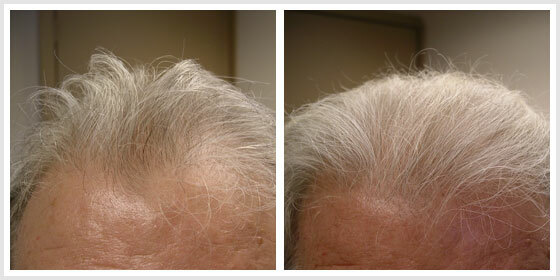 “Once follicles are dead there is nothing you can do to bring them back to life, so if you notice changes in hair growth, thinning or fall-out, don’t wait come and see our doctor and a hair loss specialist!” Using low-level Laser Hair Therapy can give lagging hair follicles a boost and it can work in conjunction with other treatments like DHT blockers such as Propecia and topical shampoos as well as topical minoxidil you may be considering or already using, for even more positive results. You will have a consultation with our primary care naturopathic physician to determine why you’re losing your hair, because this therapy works only for certain hair loss conditions. Is Laser Hair Therapy for me? 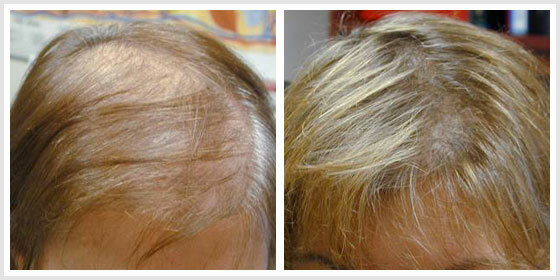 Have you just recently noticed hair fall-out or changes in hair health? Are you experiencing age-related hair loss due to excess DHT? Are you using hair care products to remove DHT? Are you currently taking Propecia (finesteride) or using Rogaine (minoxidil)? 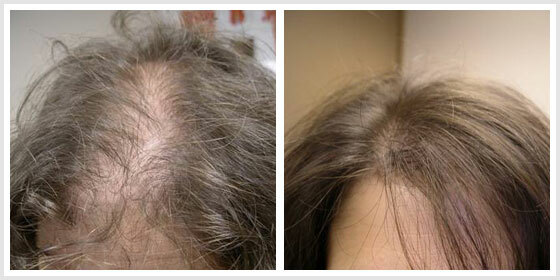 Are you on any medications that could be causing temporary hair loss? Can you afford the time and money for weekly treatments? If you answered YES to any of the above questions, low-level Laser Hair Therapy is a viable way to target hair loss early. 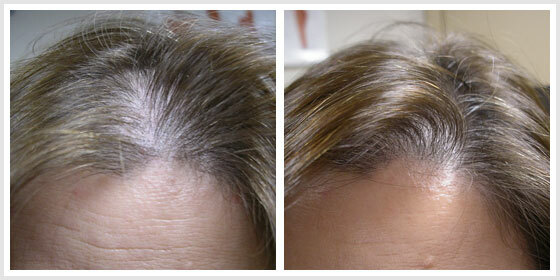 It can be administered through a hand-held unit or a full headed laser you might find at a hair loss clinic or studio. This hair loss treatment has been approved by the FDA to promote hair growth in males only with male pattern baldness who have Norwood Hamilton Classifications of I to V. The unit features diodes and LED lights that distribute low-level laser light to the scalp. Because hair is meant to fall out and re-grow from the roots, when follicles begin to shrink and degenerate, the hair does not grow back and subsequently, hair loss occurs. Studies showed that the laser light therapy, when used on a regular basis can strengthen and regenerate shrinking follicles to grow again. The laser light increases blood flow to the scalp and jump-starts hair follicles This slows down hair loss and in many cases is said to reverse the degenerative cycle and stimulate a live follicle to produce more, thicker, stronger, healthier hair. If your hair loss was temporary, a medical side effect or some other hormonal reason that was resolved, low-level Laser Hair Therapy will re-grow hair faster and healthier. But, cautions Dr. Ferchoff, if your hair loss is progressive and you discontinue laser therapy your hair loss will revert to what it would have been if you had not done any treatments at all. Also, when utilizing laser therapy devices, “More is NOT better!” cautions Dr. Ferchoff. Also low-level Laser Hair Therapy will NOT work if you are losing hair due to chemotherapy or experiencing Alopecia Areata or have had extensive hair loss for more than five years. The best results are obtained when you work with a hair loss specialist to devise a plan specific to your type of loss that includes evaluating results so expectations are realistic. "For the best results, our program offers in-office sessions with a powerful "standing" laser machine - partnered with a high quality hand-held laser with adequate strength for at home use", says Dr. Ferchoff. "We carry a handheld laser that has 9 diodes and cost approximately $500. "The standing one I use in my office is much more powerful with 160 diodes."